Raise your hand if you love peanut blossom cookies! These little bits of peanut-butter-and-chocolate goodness have been the quintessential Christmas cookie in my family for as long as I can remember. As a kid I devoured tons of these, saving the Hershey’s kiss in the middle for last. Then I went vegan and discovered that there’s no such thing as a vegan Hershey’s kiss. How, I lamented, do you have peanut blossoms without a Hershey’s kiss? I didn’t work out the answer to that question last year, but this year, thanks to discovering that Baker’s semi-sweet baking chocolate is dairy-free, I’ve finally found a viable solution. The flavor is a little different because the chocolate is semi-sweet instead of milk, but other than that these are just like I remember! 1) Preheat the oven to 375°F. 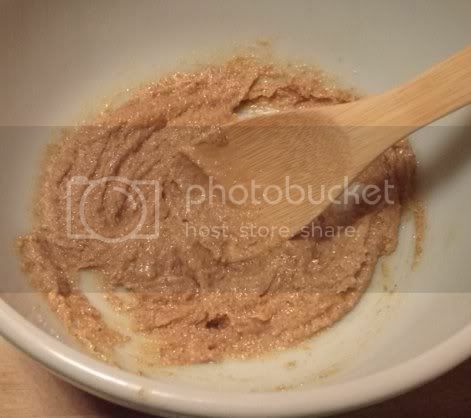 In a large mixing bowl, combine the butter, peanut butter, sugar, and brown sugar. Mix until smooth and creamy. 2) Add the flax seed mixture, nondairy milk, baking soda, and vanilla. Mix until smooth. 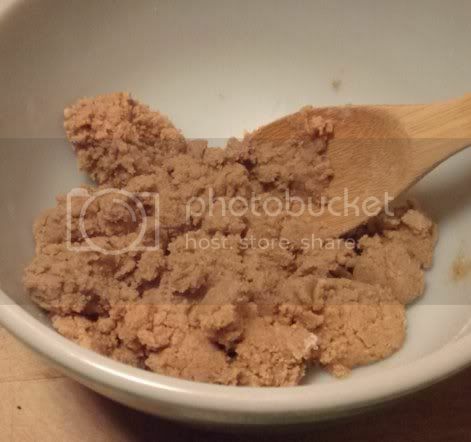 3) Add the flour and mix until the dough begins to pull away from the bowl and form a ball. If the dough is too crumbly, add a little water or more nondairy milk. 4) Pour some sugar into a shallow bowl. 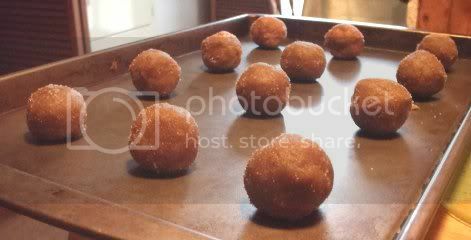 Using your hands, roll the dough into 24 balls of approximately equal size. Roll these in the sugar and place 1-2 inches apart on ungreased baking sheets. 5) Bake for 10-12 minutes, until the bottom edges of the cookes are golden brown and the tops begin to crack. 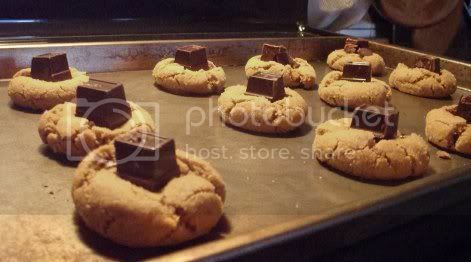 6) Remove from the oven and immediately top each cookie with a chunk of chocolate. Let cool on the cookie sheet before removing to wire racks to cool completely. Store in an airtight container. Question for the comments: What’s your favorite Christmas cookie to bake every year? hand raised! I have never thought to make a vegan version of these… but they are SO good! Smart thinking with the chocolate chunks. That looks so good! Easy but beautiful!